"The greatest opportunities are borne from adversity." Constructed to serve as a transport for Megatron and his warriors, Astrotrain became discontent ferrying unappreciative Decepticons across the galaxy. In the chaos that followed the Unicron Battles, Astrotrain struck out on his own as a bounty hunter. 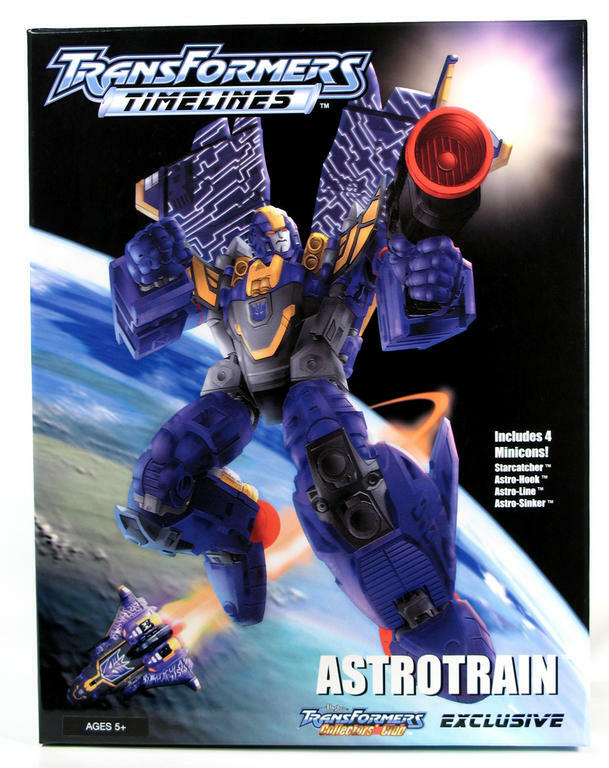 Astrotrain convinced the Mini- Con Starcatcher to join him by promising him wealth and riches. The same promise was made to a trip of Mini-Cons who joined him later: Astro-Hook, Astro-Line, and Astro-Sinker. Astrotrain is cruel, but he is also extremely loyal to those under his command. He has an innate ability to inspire loyalty in others. His years of successful commissions have afforded him significant wealth, allowing him to upgrade his systems, greatly enhancing his strength. However, he has never given up his primary weapon, an ionic blaster that disrupts an enemy's internal circuitry.